Our friends at History in the Making Journal posted this article, “Peace at Last,” about the exhumation, identification, and reburial of Australian outlaw Ned Kelley. 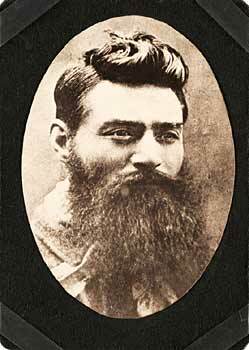 Kelley was a late-nineteenth-century outlaw whose larger than life exploits have been the subject of many retellings in films and novels. The son of impoverished Irish convicts, Kelley has been embraced as a symbol of the harsh colonial regime; as someone whose violent life was a response to the official violence of the colonial government. For more insight into the Kelley story, you can read one of the first book reviews we posted here on Not Even Past: Kristie Flannery’s review of Peter Carey’s award-winning novel about Kelley, The True History of the Kelley Gang.